ACTIVE: Attendees will be going through a 2 day workshop where they will physically perform AOC’s, LAB SIM Stations, etc., in the comfort of their OWN HOME by using their smartphones for video conferencing. PASSIVE: Attendees can learn by watching a LIVE Workshop with active students performing AOC’s, Lab Sim stations, mnemonic reviews, etc., Attendees for the PASSIVE Virtual Workshop will be learning by watching others. They can ask questions throughout the workshop, but will NOT be physically performing any activities as the ACTIVE workshop’ers do. I have to be clear though – TO be eligible for the ACTIVE or PASSIVE CPNE Virtual Workshop you MUST have first purchased the RobsREVIEW online access. This is the foundation for which ALL the training will be done during the virtual workshop and without it you CANNOT sign up (plus it wouldn’t make any sense to you as you haven’t gone through the BASICS first). I’m speaking to you, the person who is already a RobsREVIEW tribe member, and has previously purchased an ACTIVE Virtual Workshop and now wants to convert to a PASSIVE Virtual Workshop. 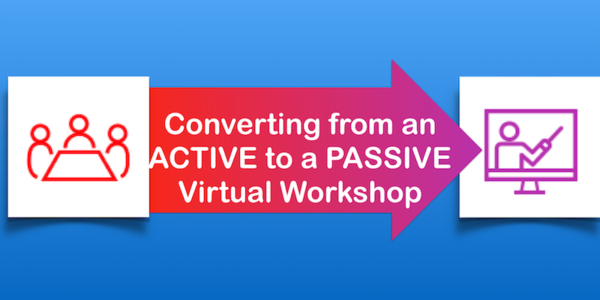 The conversion is simple – Sign up for the PASSIVE Virtual workshop by following THESE DIRECTIONS LISTED ON THIS PAGE. – Do you want to get a refund of the difference between the price of the ACTIVE and the PASSIVE Virtual Workshop? – Do you want to attend 2 or even 3 PASSIVE Virtual Workshops so you can feel SUPER DUPER confident? – Do you want to attend a PASSIVE Workshop AND an ACTIVE Workshop or some combination of both? Whatever it is, it comes down to YOUR choice! If you feel you need MORE training then get more training by signing up for multiple types of workshops, if you feel one simple PASSIVE workshop is all you need then so be it. The point is, we’re here to support you in whatever you need. Just let us know and we’ll make it happen!